There is a new gift shop in town - Garifuna Gift Shop on Barrier Reef Drive right across the Central Park. This cute litte gift shop is packed with one of a kind cultural souvenirs. You can find awesome t-shirts, authentic Garifuna outfits for little girls and boys (perfect for school events), swimsuit cover ups, Dashikis (men's shirts), authentic Garifuna drums and so much more. Owner Mrs. Julia Martinez is pleased to tend to your every need with the warmest of smiles. 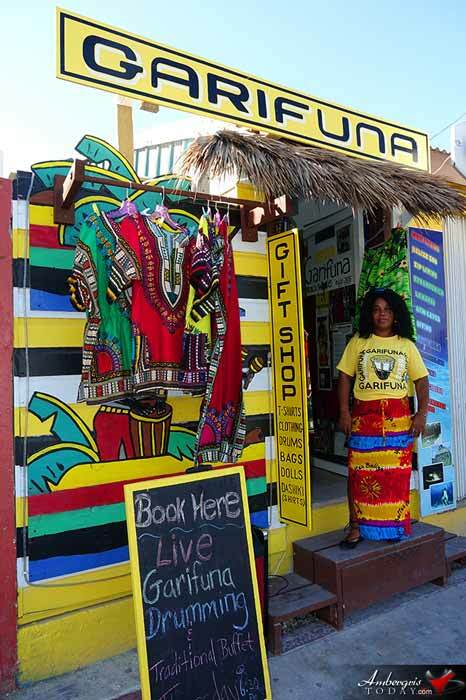 Be sure to visit the Garifuna Gift Shop on your next trip to La Isla Bonita. Opening Hours - Mon to Sun 8am to 5pm.